A list of the industry’s leading thought leaders and strategists who can help you make sure the price is always right. There is a lot at stake in a B2B SaaS pricing decision. Pricing affects virtually every element of a business and has a tremendous effect on the bottom line. In fact, it is one of the few levers that can be pulled to generate additional revenue overnight. However, it is also one of the more publicized moves an executive team can make that can lead to negative reactions from a customer base, or, in worst cases, an exodus. So it is no surprise that pricing is an interesting but also intimidating topic for B2B SaaS executive teams. Ownership of pricing decisions typically rests in the hands of the CEO or a very small group of people who sit on a pricing council. In expansion-stage software companies, it is not uncommon for these individuals to have limited or no experience in price setting or price changes prior to breaching the pricing question the first time at their own startup. Consequently, many of them turn to experts in the market for advice on how to price their products and services. The pool of experienced B2B SaaS experts is limited, and they are not always easy to find. To help connect entrepreneurs with the best resources, I wanted to share this list of top B2B SaaS Pricing experts I’ve put together over the course of advising the OpenView portfolio on a number of pricing strategy questions. Chris and team help emerging, high-growth and enterprise software companies create transformative pricing strategies for launching next-stage growth. As leader of a consulting firm that has worked with hundreds of software companies—and innovated licensing strategies widely used today—Chris shows clients how to out-perform competitors by out-pricing them. As former CEO and co-founder of an award-winning software company (and strategic partner of Home Depot and Lowes), Chris learned initially by recovering from mistakes he sees many software companies making today. Too often prices are set without fully activating other aspects of monetization like licensing, offering and salesforce engagement. Through an undisciplined pricing approach, millions in upside potential get left on the table. Chris and his team help software companies power-up pricing to realize their full measure of revenue, market share, profit and valuation. You can read Chris’ thoughts and tips on pricing strategy on their Software Pricing Blog. 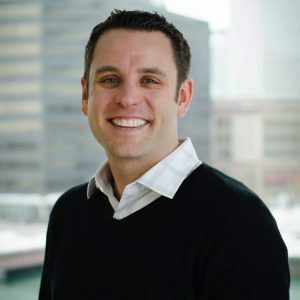 Chris is a B2B software pricing expert with 20 years of experience developing and implementing value-based pricing strategies for B2B companies ranging from small startups to Fortune 50 Corporations such as Microsoft and United Technologies. Chris is an innovative thinker when it comes to pricing and leverages a broad range of technologies to help optimize and develop pricing models. He is also a Certified Pricing Professional (CPP) and member of the Professional Pricing Society. Read Chris’s thoughts and advice on Software Market Observer. Get updates and connect with him and his company on Twitter @pricing. Steven has more than 10 years of experience in B2B software pricing and specializes in SaaS pricing models. His focus is on helping companies bring new concepts to market and setting them up to scale. He does this by combining market segmentation and targeting with value-driven pricing, focusing closely on the unit economics to make sure new offers will scale in a way that works for both the company and its customers. Although focused on B2B, Steven pays close attention to emerging practices in the consumer space, where new techniques for segmentation, targeting, and pricing are often introduced. Steven is interested in the evolution of pricing strategy at early-stage companies and how this impacts shareholder value creation. Learn more by visiting Steven’s blog and connecting with him on Twitter @StevenForth. Patrick is one of the up-and-comers in this space, and is really changing the way executive teams think about pricing. Patrick and his team at Price Intelligently created a software platform to aid companies with moving to value-based pricing. Patrick primarily works with earlier stage and growth stage software companies. He is an expert on SaaS pricing and has written some of the more influential content on SaaS pricing of the past two years, including Developing Your Pricing Strategy. Keep up-to-date with Patrick’s latest thoughts and lessons on SaaS pricing by visiting the Price Intelligently blog and connecting with him on Twitter @Patticus. Jason Lemkin is a former entrepreneur successfully turned VC. Jason co-founded EchoSign and led it to its acquisition by Adobe. He is now a Managing Director at Storm Ventures, where he focuses exclusively on early-stage SaaS/enterprise startups and helping them scale. Jason frequently writes on SaaS pricing and conversion optimization on his popular blog saastr.com and on Quora, and is considered an expert’s expert in the industry. Jason is a prolific blogger and thought leader on all things SaaS. You can read his insights on saastr.com and his answers to first-hand questions from entrepreneurs on Quora. Connect with him on Twitter @jasonlk. Wendy is a pricing consultant and former practitioner with over 15 years of strategic pricing experience. She has experience working in industry on pricing strategy at PTC as well as consulting at a global enterprise level with Simon-Kutcher, the McKinsey of Pricing. Read Wendy’s thoughts and advice on the ProfitWise Blog and connect with her on LinkedIn. Patrick is pricing consultant with more than 10 years of experience in enterprise pricing strategy with a focus on discounting and rebate strategies. He is an innovative consultant who leverages his company’s PROS Step proprietary pricing technology in his consulting practices. He has experience working with enterprise B2B SaaS products as well as perpetual licensed products. Patrick is a frequent speaker on pricing optimization. You can find Patrick’s insights and tips on pricing at the Step Smart Pricing Blog and PROS Pricing Leadership Blog. Connect with him on Twitter @PMSchneidau. Nitzan is an up-and-coming product-first pricing expert with 5+ years of consulting startups and Fortune 500 companies in creating, launching, and pricing breakthrough products. Nitzan typically engages in whole product consulting engagements. He has experience working with companies across a variety of industries including telecom, software, and financial services. With his experience as a former SaaS executive at Skype he understands how to run and grow a SaaS business. You can follow Nitzan’s latest thoughts and updates on the High Start Group Blog and by connecting with him on Twitter @Nitzans. Lincoln is a consultant with more than 10 years of experience in the pricing world who specializes in conversion and pricing optimization. Lincoln has consulted with hundreds of software companies on these matters. Much of his experience is with lower price point and freemium SaaS products. Get the latest from Lincoln on his SaaS Growth Strategies blog and by connecting with him on Twitter @lincolnmurphy. John is a pioneer and innovator in the pricing and value management fields. He co-authored The Strategy and Tactics of Pricing and has personally developed many strategic pricing tools used by companies around the world. John is experienced in the B2B SaaS space, but works across a broad range of industries, and is widely recognized as one of the leading speakers and authors on pricing strategy and tactics. He also serves on the Leverage Point board of advisers and is a member of the Professional Pricing Society. Learn more about John’s expertise on his blog for The Strategy and Tactics of Pricing. Looking for More Insights on SaaS Pricing? Dive into our free resources guide here. Getting pricing right is one of the most difficult — and important — challenges a SaaS company faces. In this guide you’ll find the best resources available to help you determine your ideal pricing model. Read more.